Back painted glassis used today to decorate home interiors. They are available in different colors which makes the choices overly confusing for first-time buyers. When buying the back painted glass to be used for interior décor, one should ensure that they select a color that complements the theme of the house. This could include having a brightly colored back painted glass so that it looks attractive and makes the room bright. The installation of back painted glass in the kitchen or other space within a house is easy and only requires the right tools. With the right fixing on the wall, this glass can help to create an attractive environment. Ugly looking walls can be hidden using painted glass. The dark colored back painted glass should be used in spaces that you want to hide ugly interiors. There are also other advantages of using painted glass for interior décor. If you need to understand why you should have back painted glass being used to upgrade your interior design, this article will beof help to you. It includes a discussion of the various primary advantages of using this glass in a modern home. Having an elegant looking and attractive interior is a must do for many modern homeowners. There are different types of back painted glass that you can use to bring some life into the boring walls and interior. The wide array of colors that are available for the back painted glass makes it interesting and easy to blend in different backgrounds. Matching the color of the back painted glasswith the background of the wall can be helpful. Also, another color that is different from what is on the walls can be used to make a unique design. If you are in need of a custom look for your interior, you can go for the back pained glass and use it on different walls in your home. Glass interiors are also associated with class and help to make a statement to our visitors. Having a back painted glass installed within a home can help to expand the area. The shiny and shimmering look of the glass makes space look bigger just like a mirror would do. Sometimes, there are reflections on the back painted glass which help in expanding the space. When installed in the right position with sufficient light, it is possible to expand the space entirely. Most individuals cannot identify the most strategic position to install it. Usually, if you do not have a large window that will allow natural light to come through, adding artificial lights on this glass can help to create a better mood. Keeping the house clean at all times should be prioritized. There is a need to have interior décor that is easy to clean for convenience. Great source of convenience when you can easily clean the surfaces and leave them shining and attractive. When using the right cleaning solutions, it is possible to maintain the look of the back painted glass as good as new. The shiny look of this glass is what makes the house look bigger, and you don’t want to let the shiny glass get dirty. Cleaning should be done at least three times a week to maintain its flawless and clean look. Maintaining good hygiene within the house is essential. Having furnishings and interior décor accessories can be sometimes unhygienic if not well maintained. Glass is a material that is resistant to mildew. Therefore, when you install the back painted glass, you have the chance to keep the house hygienic with the right maintenance practices employed. When there is mildew or mold in the house on glass surfaces, they can be harmful to the people around. Some people who are allergic to the molds and other things that may hold on the surface of the glass may be uncomfortable. The back painted glass is however advantageous since it is resistant to mildew formation. 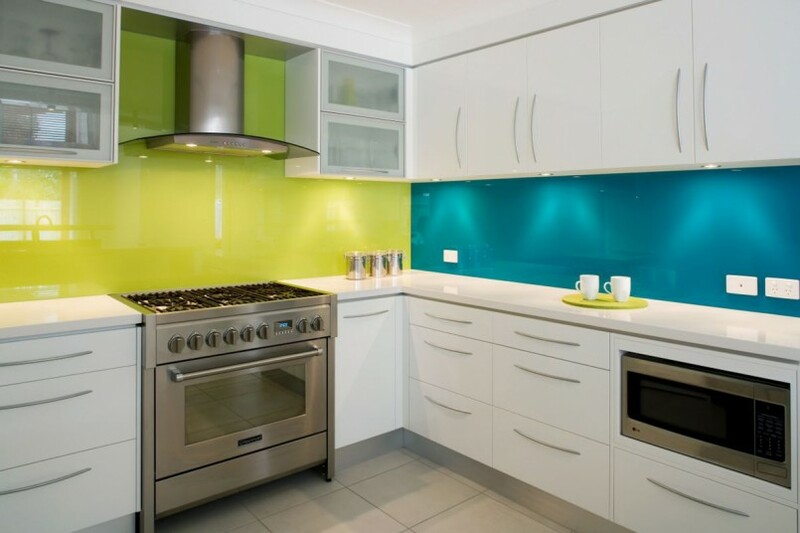 If you are in need of adding a backsplash in your kitchen, you should consider using back painted glass so that you can maintain a high level of hygiene and keep the place safe for every person. The high-quality glass is used for the backsplash in a home interior decor .Sometimes, tempered glass is used for the glass making it more durable and scratch resistant. Durability is affected by the quality which should be maintained by the manufacturers. When tempered glass is used, and the paint is of high quality, the durability of this glass is guaranteed.